Even after three days of having been given a notice to shut down, the shops are still running just as they used to. Mild sunlight warms the streets tightly packed with books, stalls and rows of parked vehicles. Shops aligned adjacent to each other brim with colourful books meant to appeal to book lovers. The market chaotically mixes the queries of customers and shopkeepers alike. The ancient Urdu Bazaar seems entirely unaffected by the government’s recent anti-encroachment order. 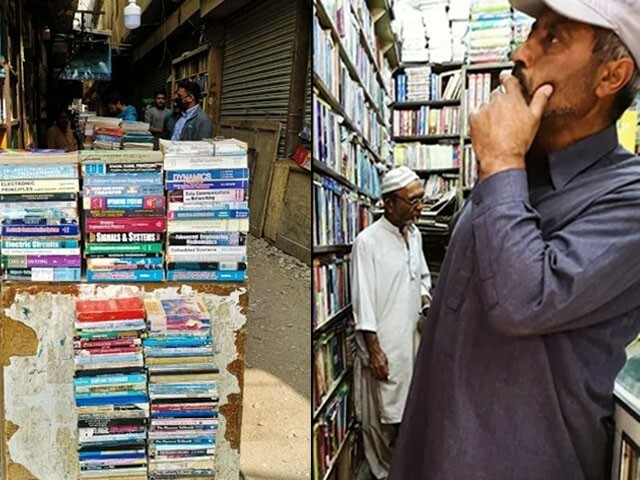 Urdu Bazaar is one of the oldest book markets in the subcontinent and almost every Karachi dweller has some sort of memory associated with it. For many, the book market played a pivotal role in their childhood. For some, the market itself was their favourite play area because here they bought imagination in the form of books. The long-established market hasn’t changed much in all these years. 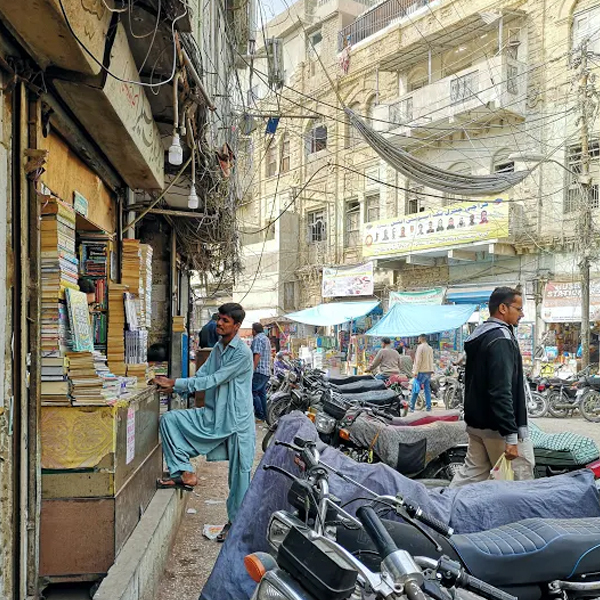 In fact, even the government’s recent order of demolition hadn’t affected Karachi’s hub of literature and scholastic books. Even after three days of having been given a notice to shut down, the shops are still running just as they used to. Students continued to look for books and journals and shopkeepers continued to suggest different authors to their usual buyers. 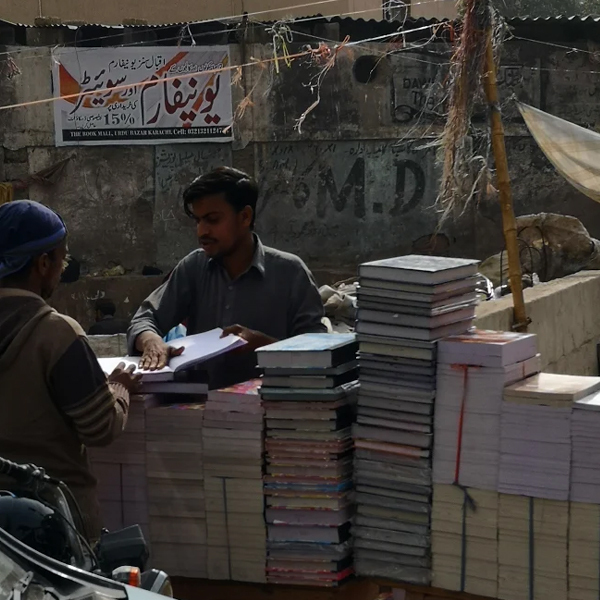 The shop owners of the book market continue to successfully run their well-established businesses despite the decreased interest of today’s generation in reading. In an era where technology rules our lives, book-reading is becoming increasingly rare. Even so, these book-sellers love what they do and don’t ever want to stop. They understand just how valuable books are, today and forever. The business of this market is not purely confined to selling books. 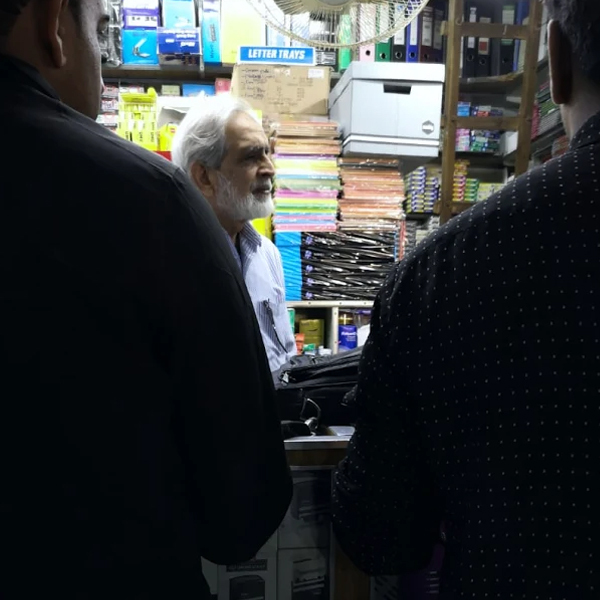 People from all around the city also turn towards this market to purchase brochures, wedding cards, posters, banners and all kinds of stationary products. 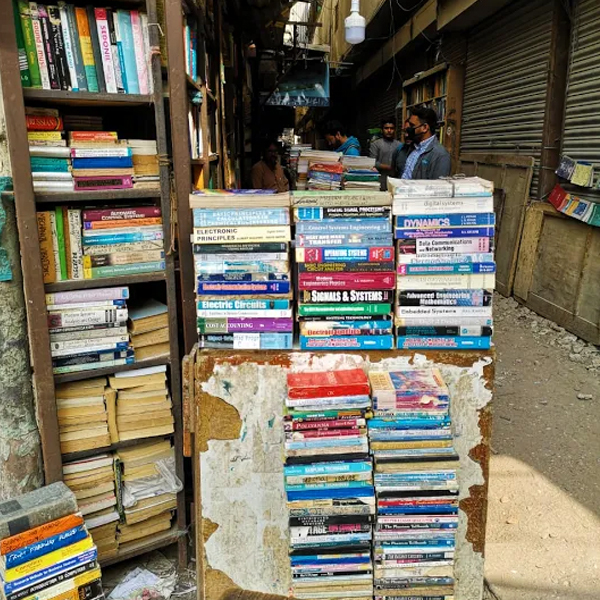 Urdu Bazaar is also famous for dealing with the trade of old and used books, allowing readers and students to buy the books they need at the most reasonable prices. The market thus facilitates its citizens by providing them the means to fulfil their educational needs at the lowest prices. Urdu Bazaar has been a representation of the Urdu language since even before the division of the subcontinent in 1947. 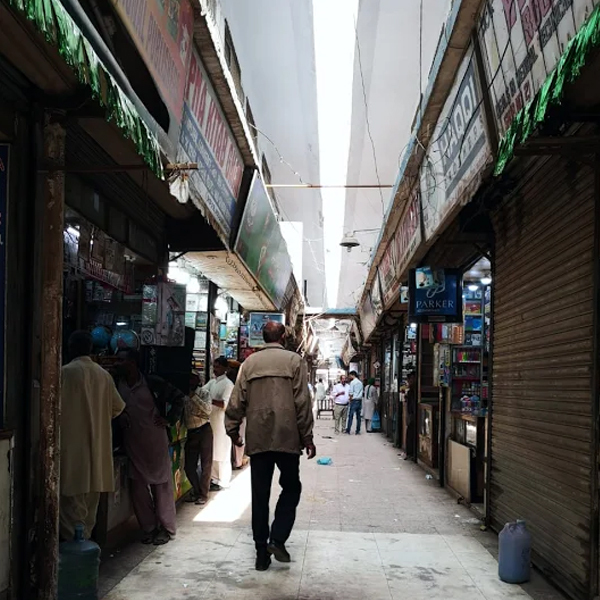 The hundreds of shops and stalls in present-day Urdu Bazaar date back to the 60s and most of these are run as a family business. These businesses are passed down from generation to generation as a family legacy. 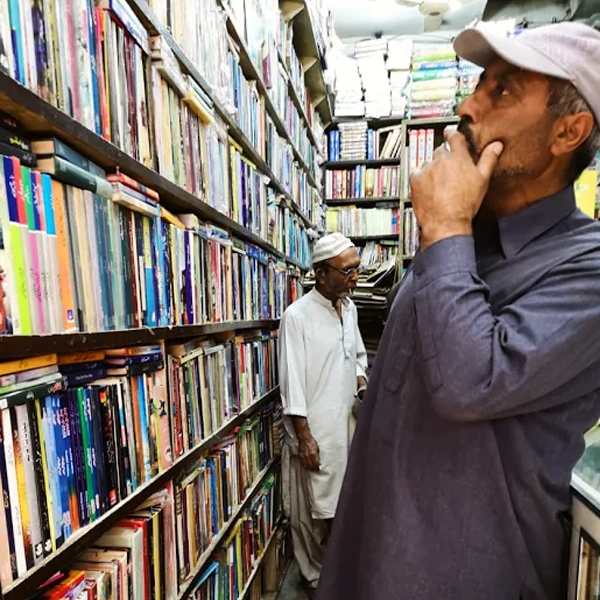 Urdu Bazaar doesn’t only sell books but also plays its part in preserving the Urdu language, and the culture, literature, history and knowledge of the subcontinent for coming generations. The market is abundantly filled with every genre of Urdu literature including fiction, satire, drama, poetry, travelogues and short stories. The decision to shut down the market and demolish the roadside stalls is thus equally disheartening for those who are making their livelihood from the market and for the citizens. 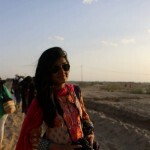 Urdu Bazaar is one the oldest and most valuable pieces of Karachi’s heritage and needs to be preserved at all costs. He wasn’t the only customer extremely unhappy with the decision. These book lovers have no substitutes in their minds and this surprise notice has shaken them up completely. Many voices are protesting against the government’s decision of demolition. No one is able to find a single reason to justify the decision or the short notice given by the government. The protest has temporarily postponed the demolition of the book market but this doesn’t mean that there is no longer a reason to worry.